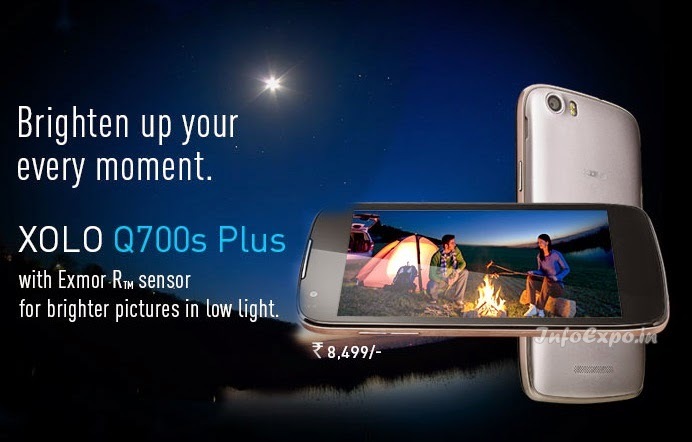 Xolo Q700s Plus comes with with 8 MP AF rear camera along with ExmorTM R Sensor and Dual LED flash support. It has 5-inch IPS display and Q700s Plus is powered by 1.3 GHz Quad Core Processor along with 1GB RAM. Q700s Plus has launch price tag of Rs.8499, this device is loded with Android KitKat OS.